Trinity Ridge Subdivision Tour Fort Mill, SC Homes for Sale from Turner Real Estate Group on Vimeo. The Turner Real Estate Group would like to welcome you to a tour of Trinity Ridge subdivision. Trinity Ridge is community built for those that enjoy the privacy of large lots and beautiful custom built homes. Lots are in excess of an acre and are heavily wooded with large hardwoods and pines. Houses are generally all brick and or brick and stone. The elegant custom homes in Trinity Ridge have it all: extensive hardwood floors, gourmet kitchens with granite counters, large islands, stainless steel appliances, and pantries, heavy moldings and built-ins, stone fireplaces, 3-car garages, and outdoor living areas. Many of the homes are in excess of 4,500 square feet. Trinity Ridge is located in the Award winning Fort Mill School Disctrict and residents attend Dobys Bridge Elementary, Fort Mill Middle School, and Nation Ford High School. 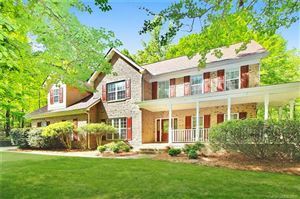 Trinity Ridge is located in just outside the high growth area of Fort Mill, and Indian Land however in just a short few minute drive Local dining, shopping, sporting activities, and all genres of business are abundant in the area. 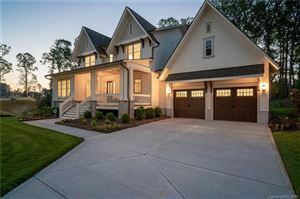 If you are looking for a neighborhood with a beautiful custom built homes, large private wooded lots and top ranked schools then please call us to check out Trinity Ridge in person.